Cut veal into approx. two finger thick butterflied portions. Beat out the veal as thinly as possible without making holes in it. Season cutlets with salt and pepper. Dredge each piece in flour and afterwards in the egg mixture. Set aside. Next, dredge the cutlets in breadcrumbs. 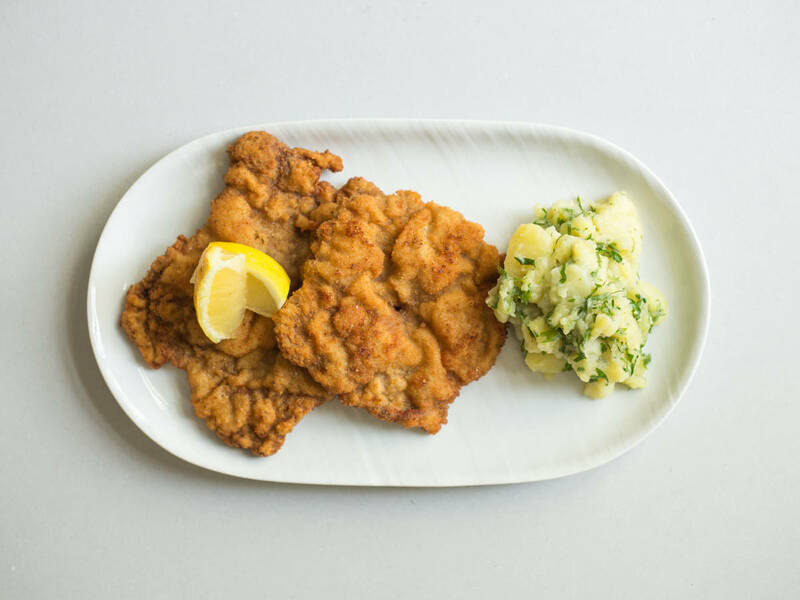 In a frying pan, fry schnitzel in some butter over medium heat until golden brown and crispy. Season once more with salt. Serve with a lemon wedge and enjoy with some homemade potato salad!